It's a beautiful story, splendidly filmed up outside Lake Arrowhead, about a couple in love that wants to make the world a better place...until the final shot. Then you get to decide what it is! We've heard many ideas, theories, and questions about this movie's ending from people who've seen it, but our enduring hope is that no one doubts these two characters are in love with each other. Hard to say much more than that without giving things away! My original focus in the film business was on writing, but it can be a pretty lonesome endeavor, so I added acting back into my portfolio after leaving it behind in my college theater days, and it took off to a surprising degree (which led to my first visit to BSFF with my role in the feature Cloudy With a Chance of Sunshine!) 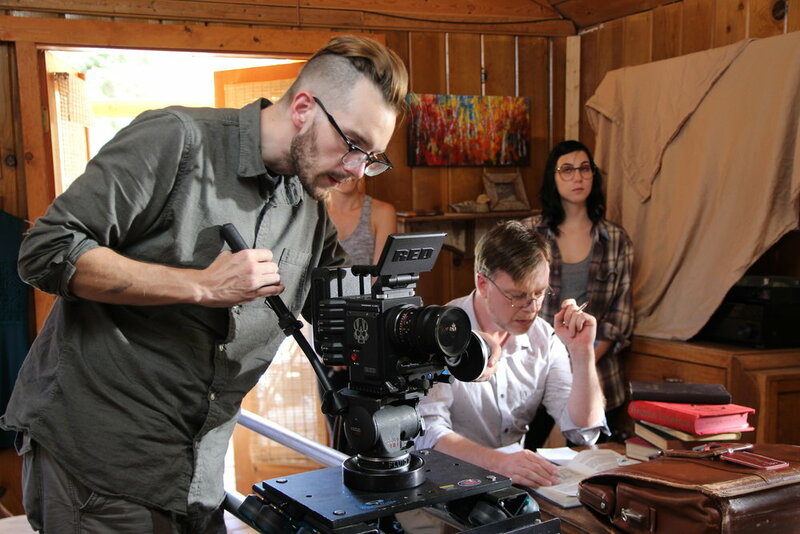 I started directing shorts as a way to finally see my scripts brought to life, and that has led to countless terrific adventures, including my *second* visit to Borrego Springs last year with my film "The Dinner Scene". Finally, with "R&R", I'm doing the fabled triple threat - writing, acting, and directing at the same time. It cost me much sleep. So much sleep. When you don't have a lot of money, your best counter-weapon is preparation. I also learned that my acting gets better when I am too tired to get neurotic about it! We've been on the festival trail since September and aim to continue well into 2019 and then evaluate from there; my previous short landed a deal with a subscription streaming service so we will certainly be investigating that. Mostly I'm just so proud of what our little team managed to pull off, we made something memorable and unique under insane logistical pressures, and we all came out emboldened by discovering what we're capable of. I'm aiming to direct another short in the spring (masochistically, with an even smaller team than this one! ), and I've also begun fundraising for a micro-budget sci-fi feature; I've dreamed of making it for years and we've taken some big steps forward recently. Whatever I do, you can bet I'll want to screen it in Borrego!